Is The New Ink Business Unlimited Card Worth It? What is the appeal of the business unlimited, other than higher signup bonus of the Freedom Unlimited? I’m excited about the introduction of the new Ink Business UnlimitedSM Credit Card, so let’s look at what makes it special. No doubt one of the most appealing things about this card is that it offers a welcome bonus of 50,000 points after spending $3,000 within three months. These points can be converted into Ultimate Rewards points, which I value at 1.7 cents each. That means this is a no annual fee card that has a welcome bonus worth $850 by my valuation. I consider this to be one of the two best business credit cards for non-bonused spend. 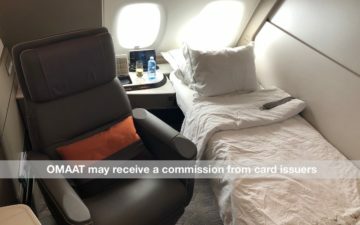 The Blue Business℠ Plus Credit Card from American Express is awesome as well, as it offers 2x Membership Rewards points on the first $50,000 spent each calendar year. I value Membership Rewards points at 1.7 cents each as well, so to me that’s a return of 3.4% on non-bonused spend. For many small businesses the $50,000 limit won’t be a big deal, while for others it will be a huge restriction, as there are plenty of small businesses that spend millions of dollars per year on credit cards. The Ink Business UnlimitedSM Credit Card is the single best business credit card for non-bonused spend without any sort of caps. The card offers 1.5x points per dollar spent, and I value those points at ~1.7 cents each, so that means this card offers a 2.55% return. There’s no limit to the amount of credit card spend on which you can earn that return, which is why I consider this to be the best card without a cap on spend. To get to Sean’s point above, this card is essentially the business version of the Freedom Unlimited. That card also offers 1.5x points on personal spend. In terms of the return on spend, these cards are identical. The difference is that one card is a business card and the other is a personal card. For those with small businesses who like to keep expenses separate, it’s great to now be able to earn these rewards with a business card. On the surface the Ink Business UnlimitedSM Credit Card is a cash back card. The card offers 1.5x points per dollar spent, and each point can be redeemed for a cent, so that’s like a 1.5% cash back card. But you can do much better than that. Transferring points between cards is easy and can be done online. You can learn more about that process in this post. The rewards structure is virtually identical to that of the Freedom Unlimited, making this ideal for those looking to separate business and personal expenses. Given that both cards have no annual fees, there’s no downside to having both of them. Blue business plus gives 2 points i.e 3.4 perceived cents back per dollar. There are cash back cards that give 2.7 actual cents back per dollar. You can only do much spending. @Debit Which cards give 2.7 actual cents back per dollar? Does either card impact 5/24? Both impact 5/24. While the Ink Unlimited will not show up on your credit report, as it is a business card (which also means the balance each month doesn’t impact your credit score), as Chase is the issuer they will still see it in their internal systems and be able to count it against your 5/24 limit. A business card from a a separate issuer would not count against this. @ JakePB — Neither card should impact your 5/24 score. You need to be under 5/24 to be approved, but it won’t count as a further card towards that (my understanding is different than AdamH’s — it’s true that Chase can see you applied for that card, but they still don’t count it). @Debit Yes BofA preferred rewards gives you 2.625% if you have $100K on deposit and then for travel only. It’s a great option if you can swing it but rather different than Chase Ink Unlimited plus CSR or CSP combo unless I’m missing something. But the cashback is not for just travel. Chase freedom makes more sense than unlimited. There are already many cards for everyday spend. Get cards with high bonus categories that cycle routinely. Before applying for Chase cards, though, be sure and get educated on Chase’s review and shutdown practices. Applying for a new Chase card is one of the actions that can potentially trigger a review of not just your entire Chase portfolio but ALL of your credit report. This happens AFTER you’re approved for the card in question. Chase has shut down – without notice – CC accounts of people who it deems risky especially those who may fit a “bust out” profile. This could include factors like having too much open credit across all CC issuers, applying for what Chase considers too many new accounts in too short of time (distinct from 5/24), and other factors. Again, this is separate from Chase’s approval for the new card. Miles to Memories had a recent post that’s a good starting point. Reddit and the FT Chase forum also have info. @Debit Just to be clear, at least according to what I see on BofA website, yes you can get actual cash back but only at 4166 points = $25 instead of 2500 points = $25 for travel, that’s 1.575% return on spend vs 2.625%. But if you have the $100K on deposit the advantage is any travel expense will be reimbursed at 2.625% – sometimes Chase UR or Amex MR can’t find best deals through their portals. @Lucky & @AdamH, thank you both! Need to be below the threshold on 1/1/19, as I go for years 5&6 of WN companion pass. @debit and dan…. the boa cash back comes in the form of statement credits against “travel purchases”. Travel purchases for at least the boa travel rewards zero annual fee card are the most broadly defined of any card I have. I have tested things like wineries, napa wine club shipments, attractions like local fall festivals, and boa will let me get travel credits for these expenditures, while both chase and citi do not count them as travel for the sapphire reserve or the citi prestige. Some wine club shipments citi counts as entertainment and gives 2x ty points, but there are at least two that boa counts as travel that citi gives zero bonus too. The point of all that is there are multiple things u can charge that allow travel credit reimbursement in the boa card at the 2.625% that you do not loose out on the opportunity cost of missing 3x ty or ur points. Great to know rabbmd. You should that data point to doctorofcredit. 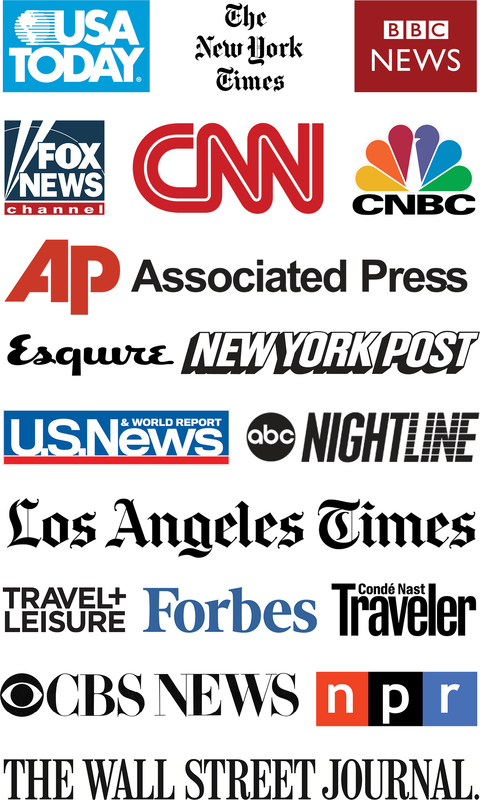 I consider that unbiased repository of credit card knowledge.